What to look for from the men at this years BNP Paribas Open. Novak Djokovic is again playing tennis on the ATP Tour. That doesn’t mean that the former world No. 1 is back to his top form, or even close to it. 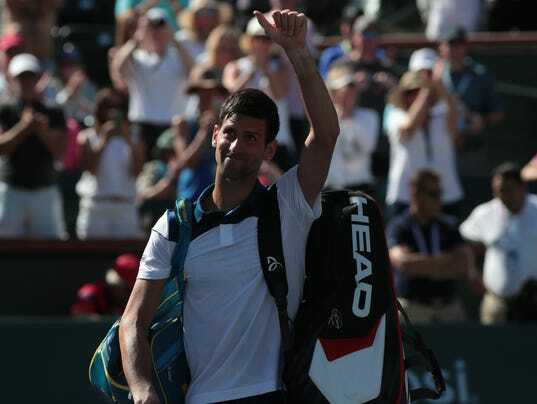 “For me, it felt like first match I ever played on the tour,” Djokovic said after losing his first match at the BNP Paribas Open on Sunday, 7-6, 4-6, 6-1 to Japan’s Taro Daniel. “Very weird. I mean, I just completely lost rhythm, everything. Just struggled also a little bit with the health the last couple of weeks. Novak Djokovic won Wimbledon and The Big Three are back.